Apple held an event today to "Loop you in" on the iPhone SE and iPad Pro announcements. After about 30 minutes of talking about how Apple in innovating and implementing the "Reuse and Renew" theme to recycle old parts of their devices, they got to the announcements. First up was the iPhone SE which is essentially an iPhone 5s chassis but with an upgraded Apple A9 processor and camera. It's a 4" iPhone 6s if you're into small phones. It'll have touch ID and come in 16GB ($399) and 32GB ($499) or starting at $17/month if you choose the option to pay over time. At this price, it puts the iPhone SE in direct competition with phones like the Nexus 5X and 6P, Moto X, and One Plus lineup. The only problem with that, is that all of the other phones have a screen size over 5" and bigger storage options. So if you have small hands or just want to get into the Apple ecosystem for cheap, you have a new phone that internally is as good as current iPhones, just in a smaller package. Next up was the announcement of the smaller iPad Pro in 9.7" size. I mentioned this a few weeks ago and how it makes sense. The only difference is that I thought it would take the place of the iPad Air and it looks like Apple will keep the Air version around for another year or so. The new iPad pro has all of the same features of the bigger 12.9" iPad Pro such as quad speakers, pogo pins to connect a keyboard, and Apple Pencil support. There's also an adaptive screen that will turn down the blue light emitted when looking at the iPad after sunset. It works like using a fluorescent light during the day that can strain your eyes at night but using an incandescent light causes a lot less eye strain. I see no reason to keep the iPad Air and iPad Pro 9.7" in production together since they are basically the same with the exception of the options I mentioned above. Also right now the iPad lineup up is really crowded with 5 models for sale. Imagine the conversation on the plane explaining how your new iPad Pro isn't the iPad Air, Air 2 or 10" iPad but it's a totally new iPad. 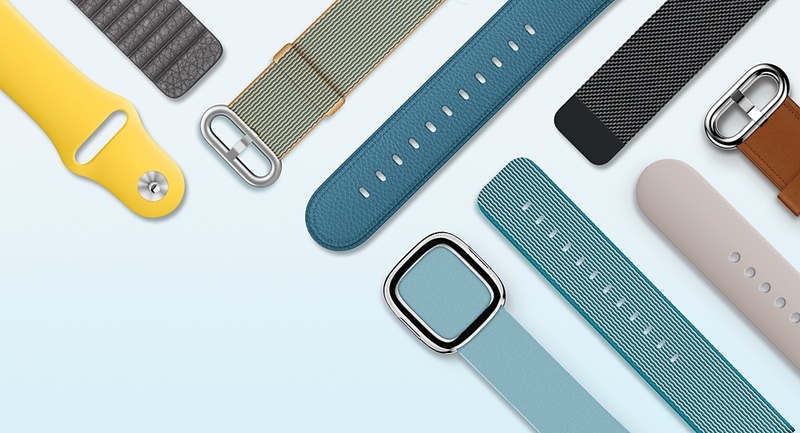 Lastly there is no new Apple Watch, but there are new nylon bands. Depending on you ask, the Apple Watch is either a hit or a failure. Both sides can be argued with valid points, it just depends if you're a loyalist or not. Either way, there are new bands to be had for your Apple Watch that to me look like my Grandfathers old Timex. You can watch the whole event for yourself by going here. Amazon dash buttons for EVERYTHING!